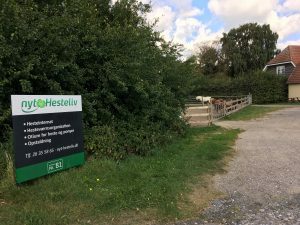 The Association nyt Hesteliv works in many areas to help horses in distress and inform about horse welfare. Operation of the rescue center where horses, ponies and donkeys are received, who have been exposed to neglect or abuse. We work with lifeguards all over the country, helping us find good homes for our horses and keeping an eye on the horses to ensure that they are having a good life. The lifeguards also help us with horse rescue cases and out in the horse markets. We receive older horses to the extent that we can offer space so they can get a well-deserved otium. We offer recreation for sick horses. We receive distressed horses and offer them a stay if we have space. We supervise reviews of neglected horses. We arrange horsemanship and horse understanding events as well as other relevant course. We hold lectures on horse markets and the horses’ terms. We are working to get horse markets closed in cooperation with journalists and the press as well as politicians. We want a ban on long-term transport of live animals for slaughter. We collaborate with other animal welfare associations to set up a Animal Protection corps. We do not kill any horses unnecessarily. In our opinion, every horse has the right to life regardless of their age, race and blemish. Only if they are seriously ill or have chronic pain, the horses get peace quietly under safe conditions with us. Decisions on killing are always made in consultation with the local veterinarian. Many of the horses that Nyt Hesteliv receive have been subjected to neglect or abuse. The horse’s blemishes are most often man-made. Therefore, we do not think it is reasonable for the horse to be put down just because it can no longer be used. The horse is by nature a flock animal. It needs more of its own companions than it needs for human beings. The horse therefore thrives fine without being used by man as long as it is in flock with other horses. However, one can easily find other ways to be with his horse if it can no longer ride. This can be done through play, agility or ground work training. Most of the horses at Nyt Hesteliv are used in this way.